Jenny Weston moves home to Bear Falls, Michigan, to nurse her bruised ego back to health after a bitter divorce. But the idyllic vision of her charming hometown crumbles when her mother's Little Library is destroyed. 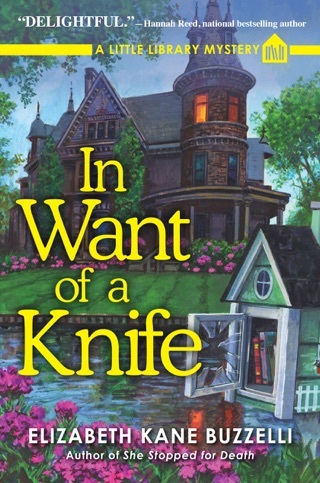 The next-door neighbor, Zoe Zola, a little person and Lewis Carroll enthusiast, suspects local curmudgeon Adam Cane, but when he's found dead in Zoe's fairy garden, all roads lead back to her. 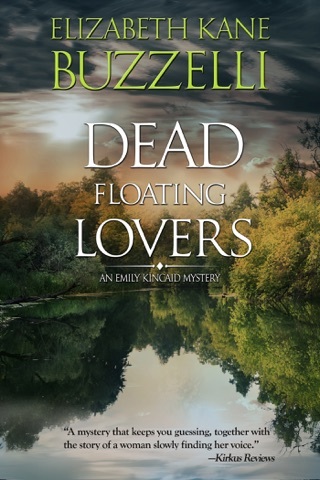 Jenny, however, believes Zoe is innocent, so the two women team up to find the true culprit, investigating the richest family in Bear Falls, interrogating a few odd townspeople, and delving into long, hidden transgressions--until Adam Cane isn't the only body in town, and they have an even bigger mystery to solve. 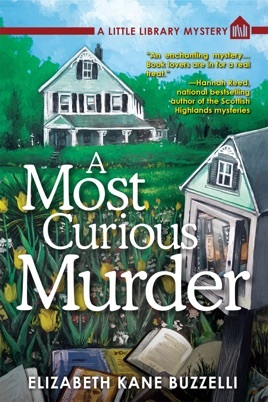 Inspired by Alice in Wonderland, Elizabeth Kane Buzzelli's quaint and compelling series debut A Most Curious Murder will delight cozy mystery readers. 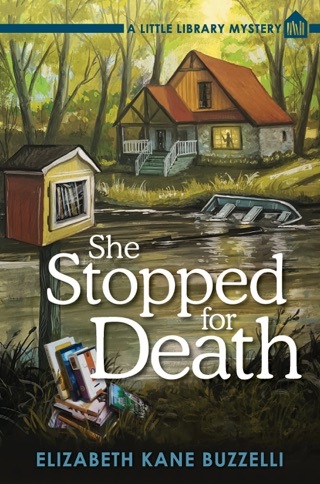 Newly divorced Jenny Weston, the heroine of this quirky, clever cozy series launch from Buzzelli (Gift of Evil), returns home to Bear Falls, Mich., where she's horrified to find her mother's beloved lending library box smashed to bits. The miniature replica of Jenny's family's house was made by her father and served as Bear Falls's unofficial library. Things get even stranger when she encounters next-door neighbor Zoe Zola, an eccentric author, whose recent study of Alice's Adventures in Wonderland has led her to talk in riddles and literary references. 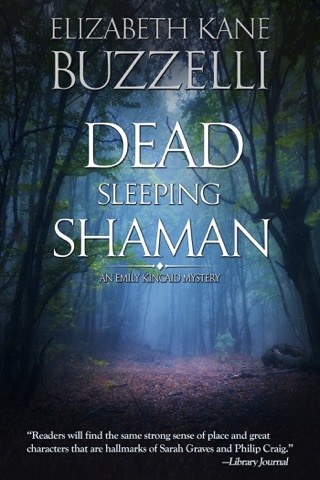 After the body of cantankerous Adam Cane is found in Zoe's yard, she becomes the prime suspect in his murder. To save her new friend, Jenny falls down a rabbit hole of family secrets, small-town prejudice, and her own personal demons that she thought she'd left behind. Jenny can be a little whiny, but it's hard to resist a tale in which one character observes, "Only nice people read books, you know." 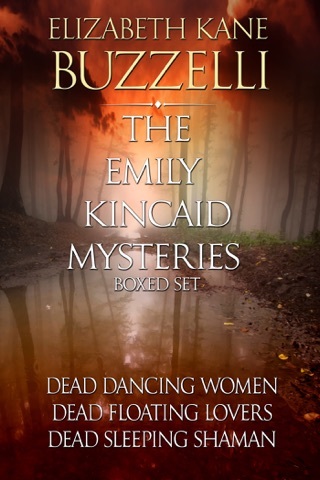 A Most Curious Murder by Elizabeth Kane Buzzelli is the first book in A Little Library Mystery series. Jenny Weston has just moved back to Bear Falls, Michigan following her acrimonious divorce. One thing she has always loved is the Little Library her father built for her mother in front of their home. Her mother was a librarian before she married, but the town had no library. This was a way for her to be a librarian and help people picks books (it works a little differently from your traditional little library). But then they find the little library smashed to pieces. Who would do this? Everyone (well, almost everyone) loved the little library. Their neighbor, grumpy Adam Cane did not like it. He felt it caused extra traffic on their street. But when Adam Cane is found dead in Zoe Zola’s (another neighbor) backyard, it does not look good for Zoe. Zoe is a little odd, but she is no murderer. Zoe is a Little Person who loves fairies and has little fairy houses (with fairies inside) scattered around her yard (Adam Cane’s body really stood out). Zoe also quotes from the works of Lewis Carroll (and other stories) frequently (it is annoying) and is a writer (and a dreamer). Jenny needs to find the culprit for Zoe and her mother, Dora (who is upset over all this hoopla). Can Jenny solve the crimes and clear Zoe’s name? Will the unexpected appearance of her ex-husband hinder her investigation? Then there is Jenny’s infatuation with her old high school boyfriend! A Most Curious Murder was inspired by Alice in Wonderland, but the author did not pull it off. The novel came across more odd than fantastical, magical, and intriguing. I had just started the book and all these characters are thrown at you. I found Zoe Zola to be overdone. The author tried to put all too many zany character traits in one person and it did not work (if I met this person I would run the other way). The constant quotes from Zoe Zola was not an endearing quality. They made absolutely no sense (despite my reading the same pages several times) and were a hindrance to my enjoyment of the novel. I found the writing to slightly awkward or stilted which severely lessened my enjoyment (I never got into this book) and the dialogue was stale (flat). The mystery was simple and easily solved (you need less than 50 pages to figure it out). I give A Most Curious Murder 2.5 out of 5 stars. Jenny’s fascination with her old high school boyfriend who cheated on her and got another girl pregnant was just absurd (the writer could have found another way to include the character). The idea or premise has possibilities. 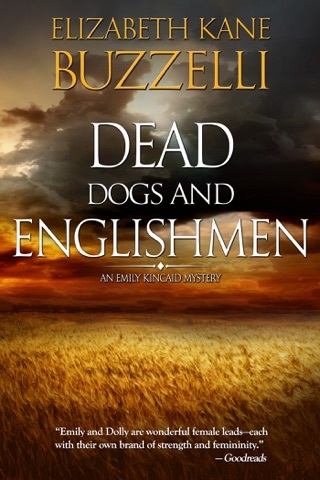 With work this could be an interesting and enjoyable series. A Most Curious Murder was just not for me (and I really wanted to like it). I received a complimentary copy of A Most Curious Murder from NetGalley in exchange for an honest evaluation of the novel. The opinions and comments expressed above are strictly my own.